The first time I heard about Burger Bro? (yes, the name of the store is a question) was from an OzBargain post that mentioned the store was offering free burgers on its opening day last year. From the social media posts of the day, a lot of people queued up for the free burgers. 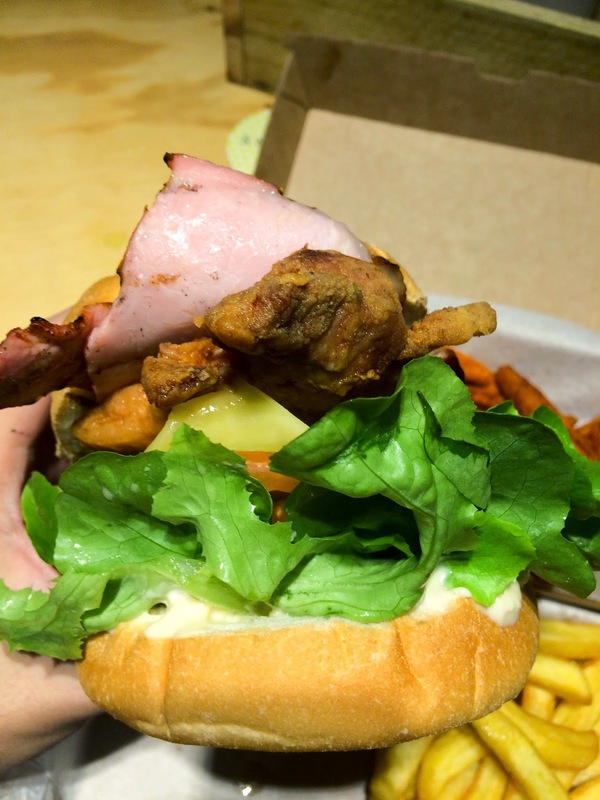 5 months later, on a quiet afternoon, I decided to see what a Kiwi burger joint had to offer in the saturated burger market of Sydney. To my surprise, I was the only customer in the cavernous hall of Hotel Chambers. 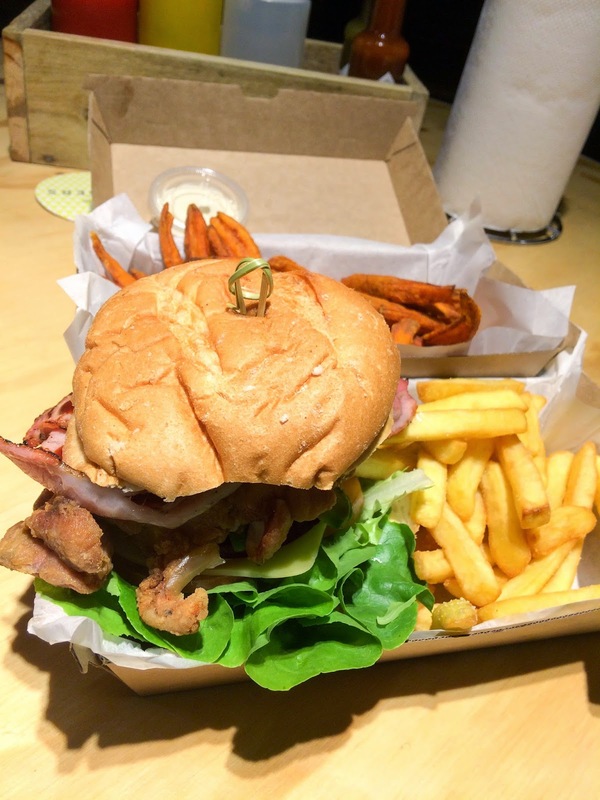 Having already done my research on the burgers (thanks to I’m Still Hungry’s very thorough review), I set my sights (and tastebuds) on The Muss ($16), a towering monstrosity of a burger, as well as a side of kumara (sweet potato) chips. 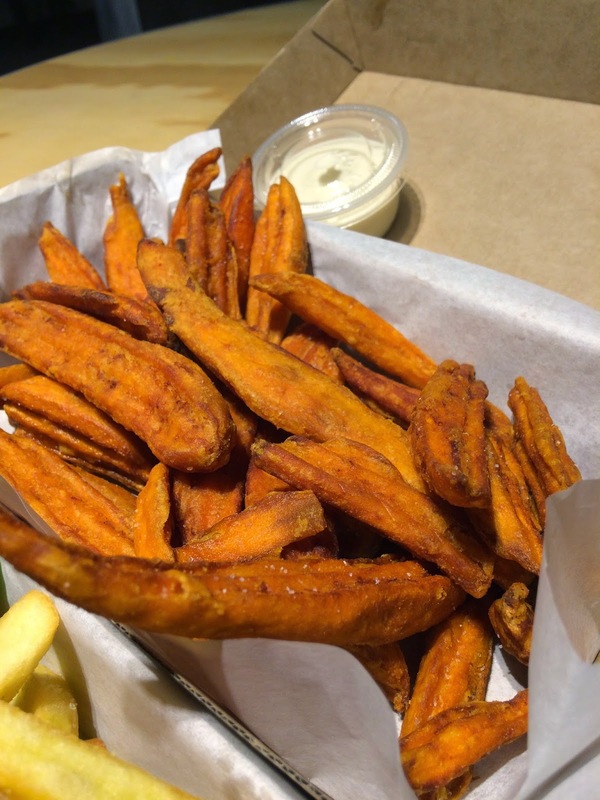 The kumara (sweet potato) chips were surprisingly long. Normally, sweet potato chips are cut short and thick due to the shape of the vegetable. The crispy exterior of the chips were perfectly matched with the soft, pillowy inside. The normal chips that come with all burgers were your average kind. 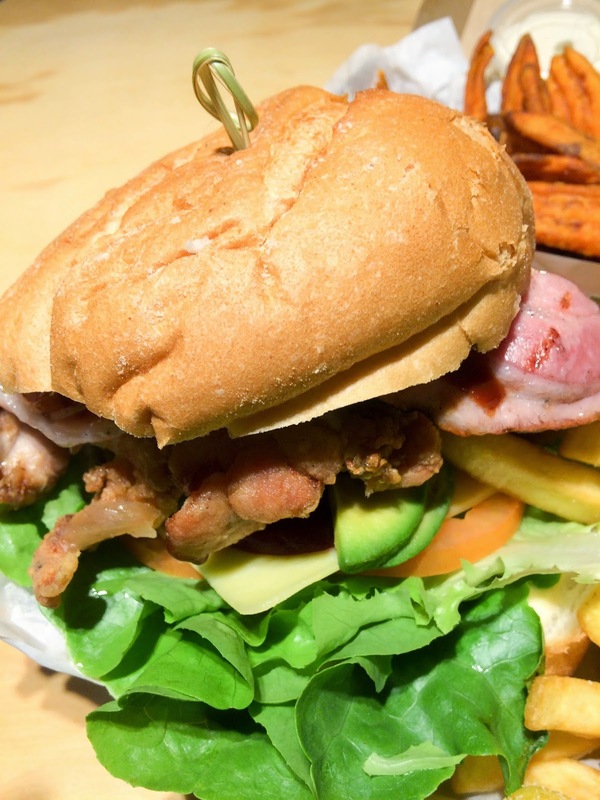 The hulking Muss I mentioned earlier, consists of a thick kumara dusted chicken fillet, bacon, lettuce, cheese, tomato, avocado, beetroot, onion and a dashing of barbecue sauce. I stared at this beast of a burger for a few minutes, attempting to formulate a plan of attack. I ended up just diving very ungraciously into it. My first bite was met with a slight tinge of disappointment, the bun was cold. Luckily, the rest of the burger was decent, not amazing like Five Points but better than Burger Project. After receiving some feedback from my readers, I’ve decided to revamp the format of my conclusions (aka the section below for people too lazy to read the entire post).